A ton of people missed out on Edge Of Tomorrow when it first came out last year, and it was even re-branded Live. Die. Repeat. to capture more viewers when it hit home video. But the film has become something of a beloved sci-fi gem to those who’ve seen it since. 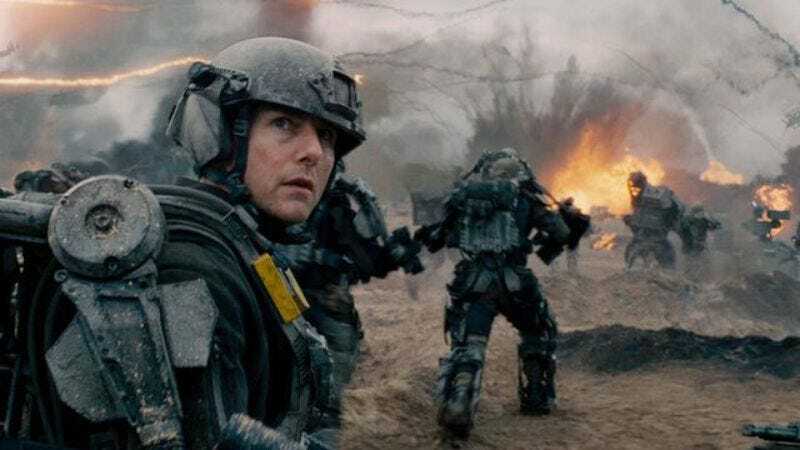 Videos have been devoted to the many deaths of Tom Cruise’s character, who is stuck in a (nearly) infinite loop where he has to re-live the same atrocious day every time he dies. But just how many different timelines are shown in the film? How far does Cruise’s character get in his mission in each subsequent iteration? And who has the time and competency to review all of these rebirths and create a cool infographic about it? The answer to that last question is George Hatzis, who has created a pretty sweet chart that maps out each of the “days” that Tom Cruise’s Cage wakes up and experiences before ultimately dying in some gleefully awful manner. Over at his site, Hatzis points out that there may be more deaths as Cage alludes to off-screen attempts—but he’s only interested in the ones audiences see on-screen. By laying out the information, Hatzis shows that it takes 26 different attempts (all resulting in death) in order to properly stop an alien menace, suggesting that saving the world is more of an iterative process than most blockbusters would have people believe.